I found the need for lack of control. I fed it with film and an absence of dials. 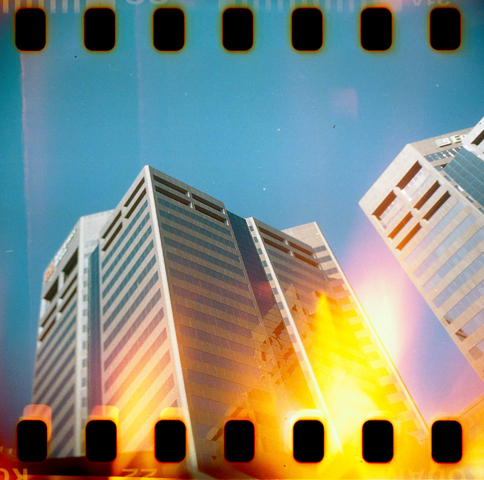 Recently I'd supplemented my camera bag with a kitchy film camera that allowed full over-sprocket exposure of 35mm film. It was a fun relief to endless settings, exposures, photoshop processing, etc. While I have no intention of letting that side of me go, I found that I enjoyed the non-instant gratification and quirkiness of film. And it's still work. While I let a shop do the developing, I still have to scan them in to be able to utilize the extra exposure area. Sometimes one by one. But I can scan while I do real job stuff so that's fine. 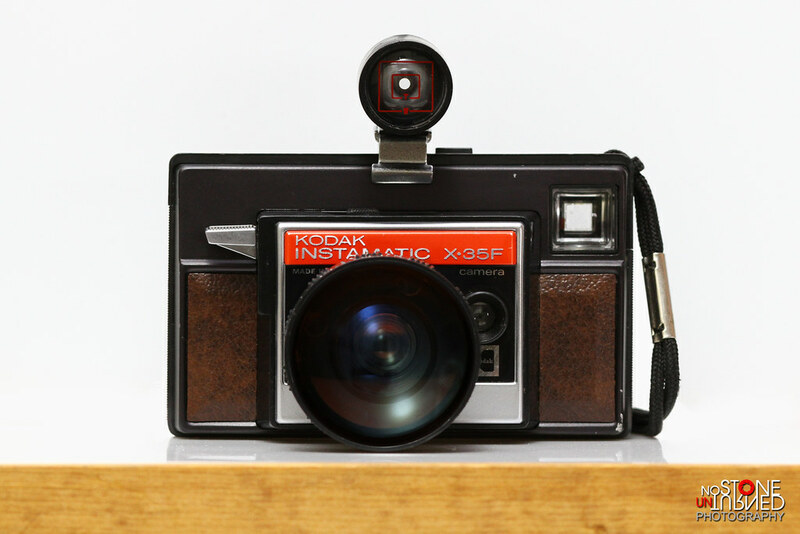 I recently figured out that with some modification I can shoot 35mm cans in my childhood Instamatic (takes 126 cartridges). Notch the film top, added a toothpick and an eye-screw, unroll it in the dark and jam it back in, taping the camera's seams to your liking to prevent full on light leaks. I shimmed a couple watch batteries with pennies to enable the camera's meter to choose the aperture for me. 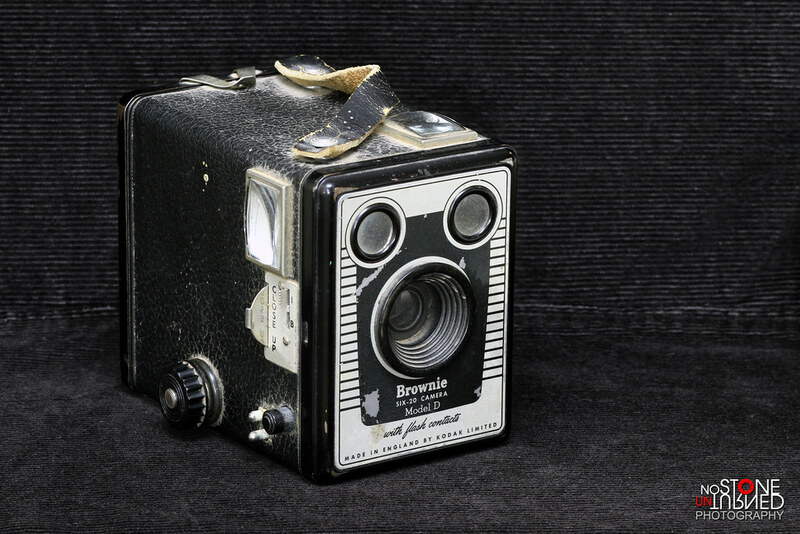 I had procured an old Kodak Six-20 Model D Brownie that's been sitting on the shelf. 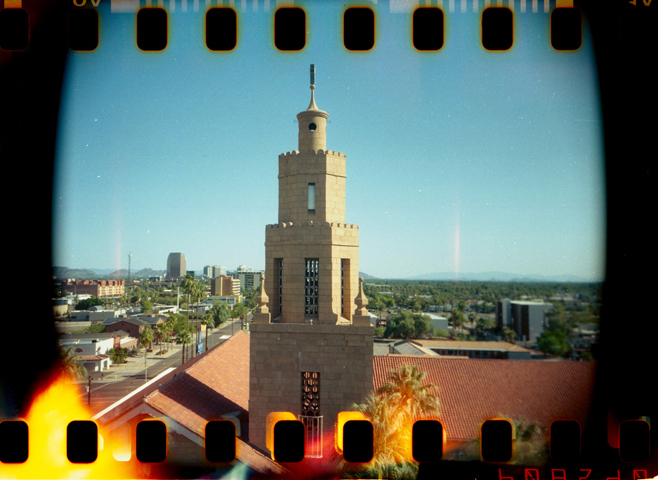 I took it down thinking I could modify it for 120 rolls (almost the same size) but liking the simplicity, readiness of cheap film, and sprocket love, I wondered if it were possible to use more 35mm. Turns out it took almost no modifying to do. Jam the can in the film roll area, stretch it across, tape to the spool and your done. The 35 is almost half the size of unfindable Six-20 and it jams so tight, it doesn't move around and stays centered in the camera. It takes a little estimation with the viewfinders (top or side depending on landscape or portrait) on the part of composure since your not getting the full width but it makes a great long panorama. I taped a ring from a plastic coil binder to the film canister so you could count about 19 sprocket clicks to know how far to turn the wind knob for the next exposure. I was pleased with the results. The photos had a nice tone to them and were pretty sharp for 1/40 f/16. 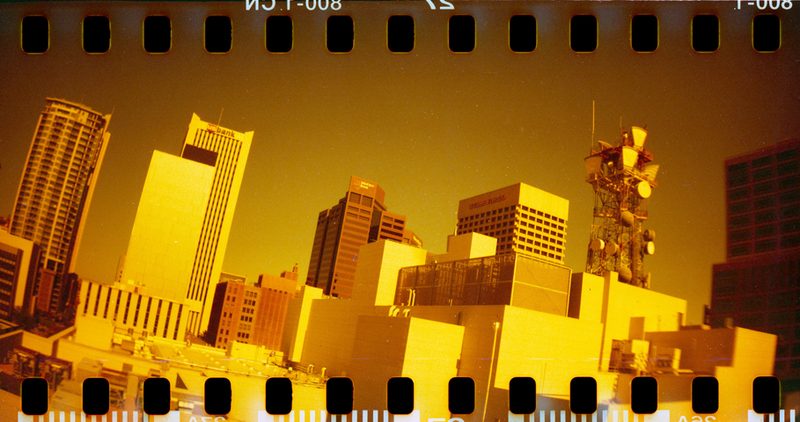 400 film. 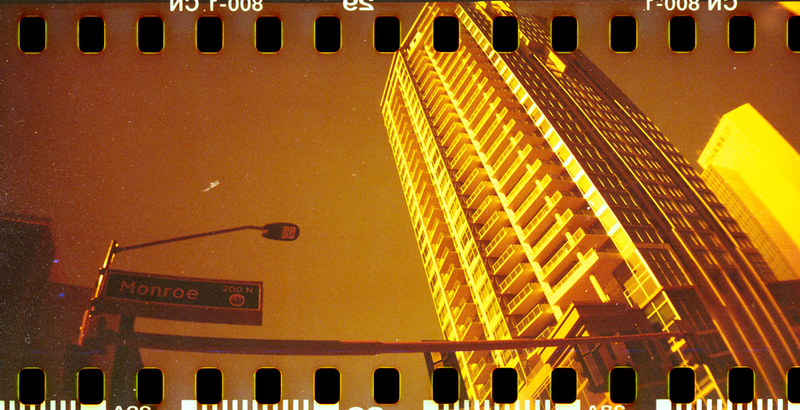 Camera 3 for the trip was the Sprocket Rocket but I wanted to try redscaling. So I took all the film out of a canister in the dark, and rerolled it backwards. This causes the red layer to expose first, yielding interesting results all in camera. For a plastic lens they came out pretty sharp. 1/100 f/11ish. 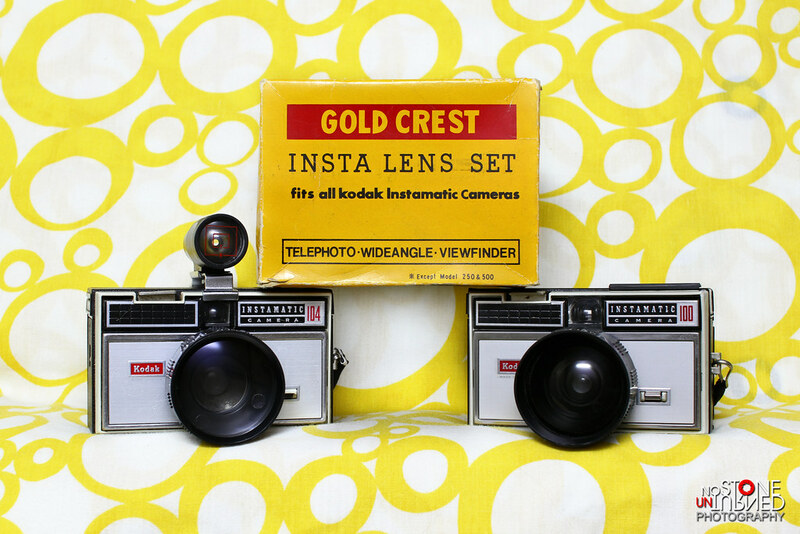 800 film. I found a 1st year Instamatic for my friend and modified his for the trip and he brought his wife's grandpa's 1930's accordion style Kodak Six-16 that I set up the same as my Six-20 with a 35mm can. The Six-16 had setting controls and he put in unknown expired date 200 so sadly they did not come out. It was a good city walk around for about 3hrs. Learning and guessing and not knowing how well anything would turn out. I was more than happy with my results. Good time. I can totally see these as an exhibit somewhere. 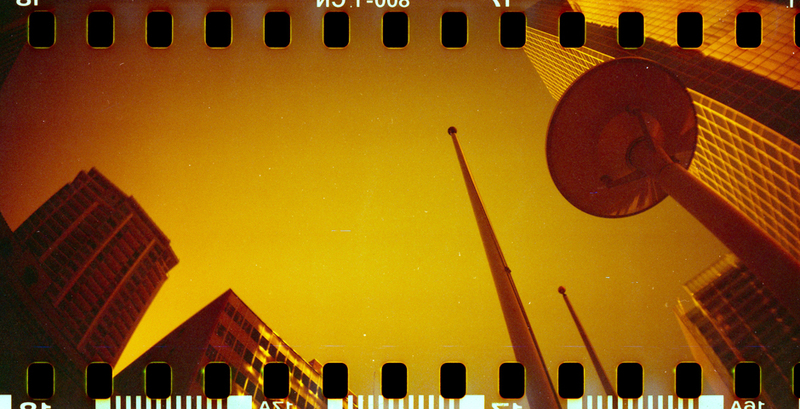 Especially the redscale ones.